Reaching the reef and gulf waters just got easier for everyone with the installation of a 200-foot-long beach access mat at Navarre Beach. 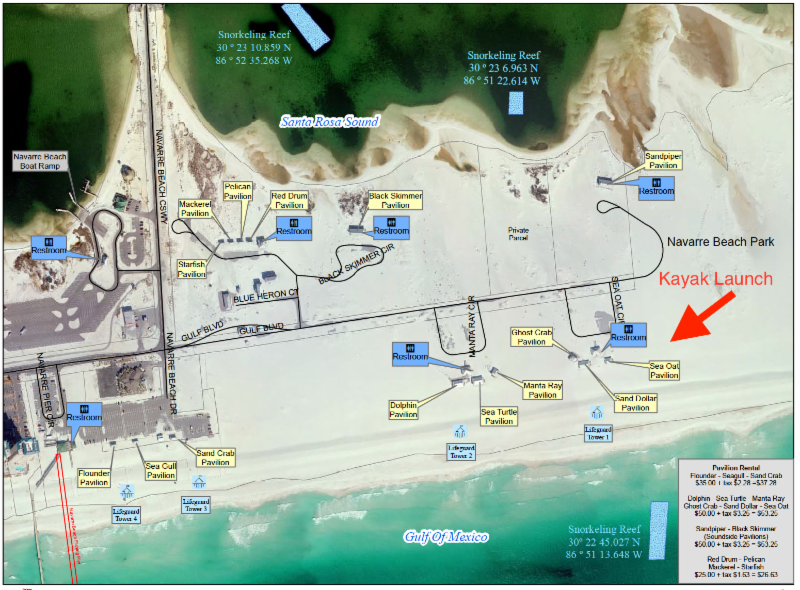 The new AccessMat is located at the foot of the kayak launch at walkover 40E on Sea Oat Circle, just east of the Sea Oat Pavilion and directly ashore from the snorkeling reef in Navarre Beach Marine Park. It replaces the 100-foot-long mat installed earlier this year which has been relocated to walkover 40B, an ADA-compliant beach access walkover situated more closely to the pier, restaurant and other public facilities. The mat, which cost just under $10,000, was purchased by the county's tourist development office. 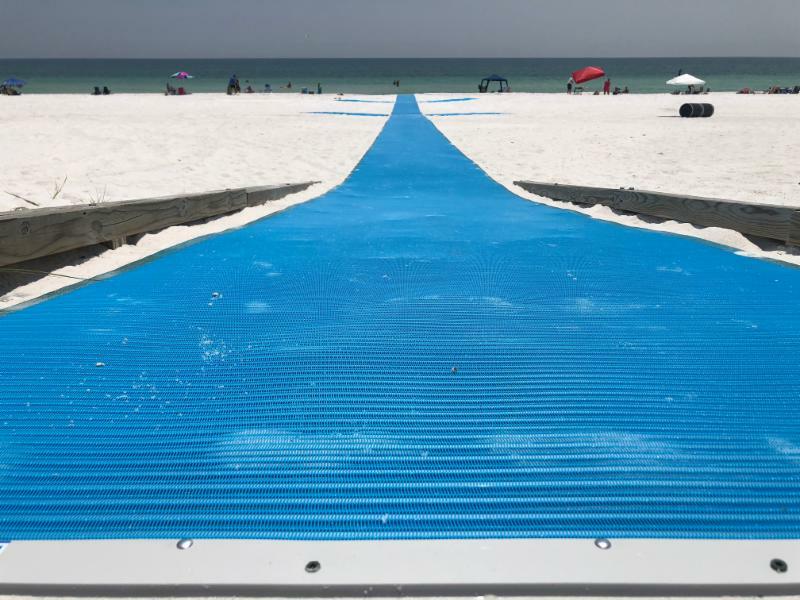 Like the 100-foot-mat, it also has two sets of wings extending 16 feet to the east and west on each side for additional accessible area and can be removed in a matter of minutes if needed for severe weather or beach maintenance.